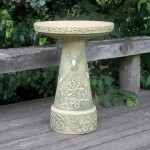 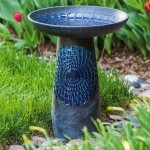 Today ceramic bird bath is an integral part of a landscape design of the modern garden. 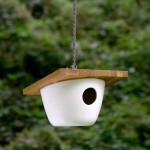 If you want to wake up in the morning and listen to the singing of birds you should do everything possible to attract them to your place. 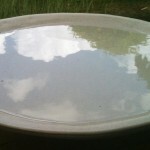 Make something pleasant for them, like a little “pool”, and they will give you more in return bringing you joy every day. 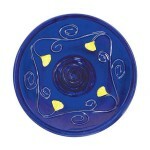 There are different colours of ceramic water dishes: green, blue, yellow, red and even multicoloured. 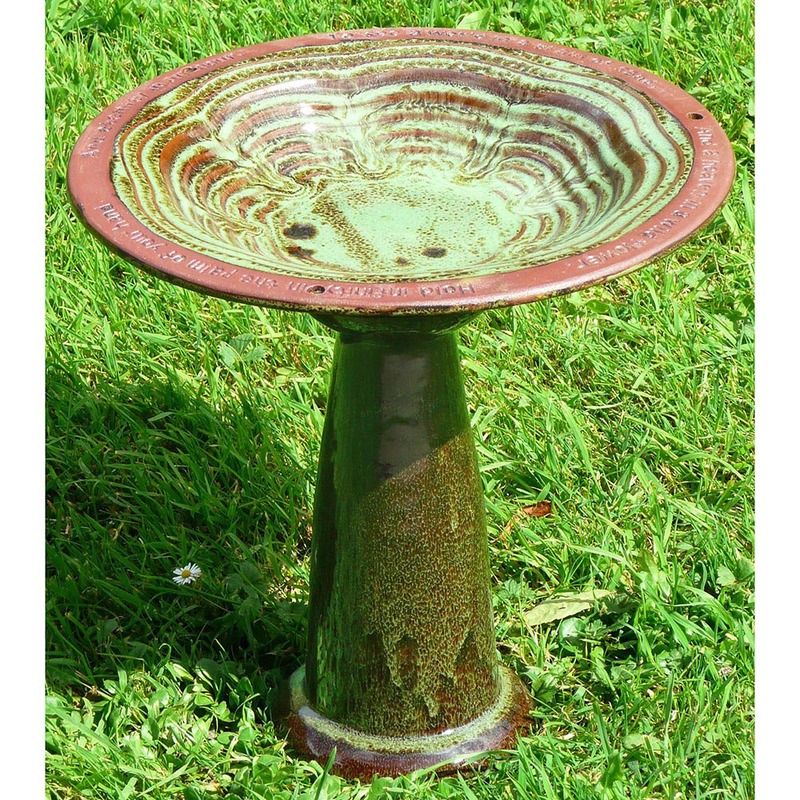 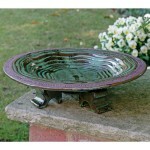 Green ceramic bird bath is one of the most popular, because it perfectly fits to the natural colours of the garden and attracts guests. 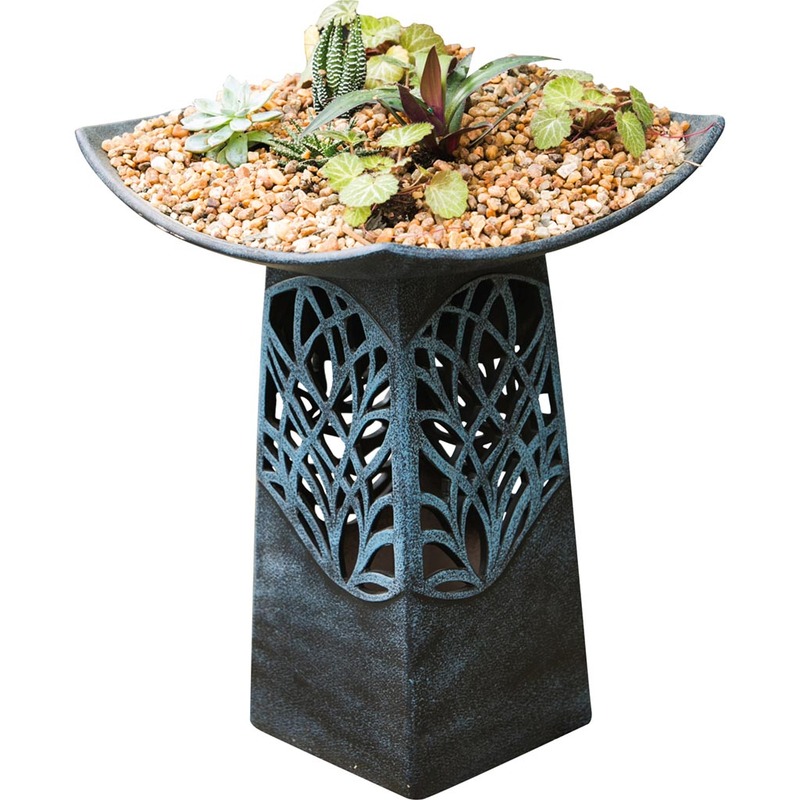 There are original designs of this landscape decoration, where a stand is made like a trunk of a tree and a bowl is like leaves. 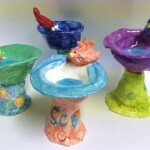 Of course, ceramic bird bath bowl has both advantages and disadvantages. 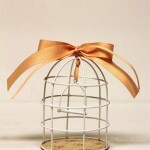 This material is ecological and does not emit any harmful substances. 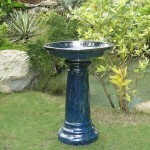 It keeps the temperature well, so the water will remain cold longer even on hot summer days. 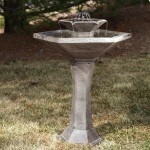 But it can hardly keep sudden temperature changes. 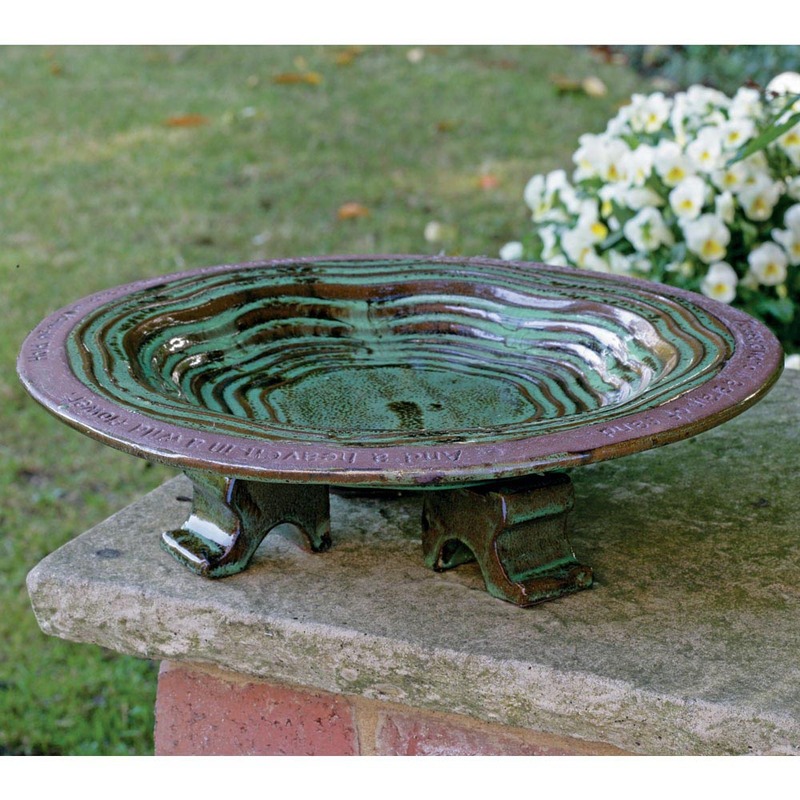 Today manufacturers produce such types of this baths that the bowl can be used separately without a stand and you can change its placement from time to time using things you have at hand (a metal stand, a stone, a stump). 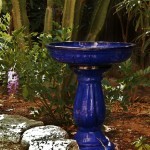 When you choose a free-standing bath you should think about its placement in the garden and take into account the fact that birds will not feel safe in the open place. 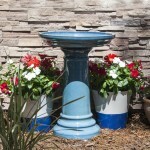 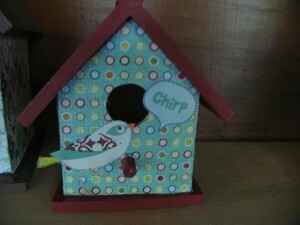 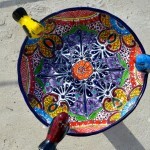 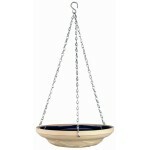 They feel better near the trees and bushes, so you can also use ceramic hanging bird bath. 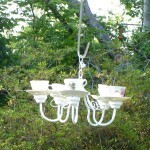 It should be suspended to the tree with special hooks and a piece of chain or rope. 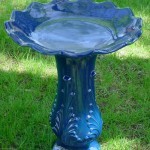 Even if you want to save your feathered friends from cats and other predators don’t hang the water dish too high, because it should be convenient for you to clean it and refresh water there.